Your Practice is Surgery. Our Practice is SEO. How Well Does Your Practice Rank? 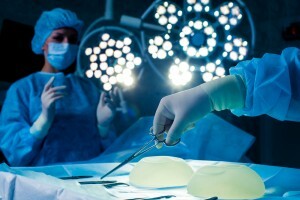 Breast augmentation is a surgical procedure growing in popularity. In short, breast augmentation is often sought by women for increasing or restoring the volume of breasts. This is mainly performed for enlarging naturally small breasts or lifting sagging breast after pregnancy or weight loss. Most cases of breast augmentation surgery are done with breast implants, breast lift or fat transfer augmentation. Breast augmentation is a serious surgery and it should not be taken lightly. Getting breast implants is an expensive decision too. It involves a number of factors, which you should research and discuss with board-certified plastic surgeons. Optimized Surgeons is dedicated to helping surgeons connect with individuals who are interested in the surgical expertise they have to offer. By leveraging Internet marketing and SEO for surgeons, our clients can attract new patients and grow their practice.